Gold medals in the Hague! The representatives of OYAMA Polish Karate Federation did very well in 18th Open European Kyokushin IBK Championships in the Hague. Polish fighters won 5 medals: 4 gold medals and one bronze!. As every year, competition took place in the ring of the sports hall Sportpalace Overbosch. Fights were led in the toughest karate system, knockdown (i.a. with hiza geri jodan with a seizure). 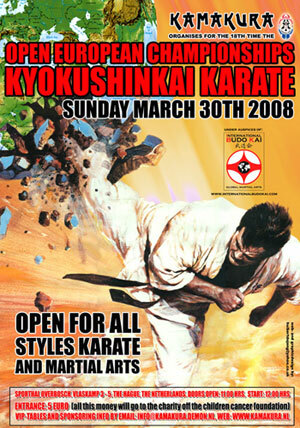 Fighters were the representatives of different martial arts school, styles and organizations. The championships were organized by famous club, Kamakura. Sensei Rafał Majda 4th dan was the main coach of the team. Shihan Józef Pietras 5th dan was referee of the competitions and the director of the team. Congratulations on your success, OSU !